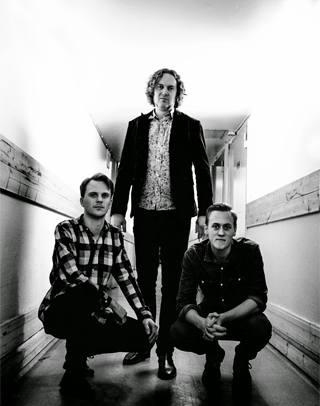 Swedish band Pocket Size released their third studio album entitled “Exposed Undercurrents” earlier this year fusing progressive and experimetal rock with psychedelia. Prog Sphere talked with the band’s mailman Peter Pedersen about the album, playing live and the band’s future. The interview is a part of the Prog Sphere Showcase feature, so make sure to listen to the album at Progify and read our review here. What can you tell me about the band’s beginnings? How did you go about forming the band? Well, the band grew out of nothingness. 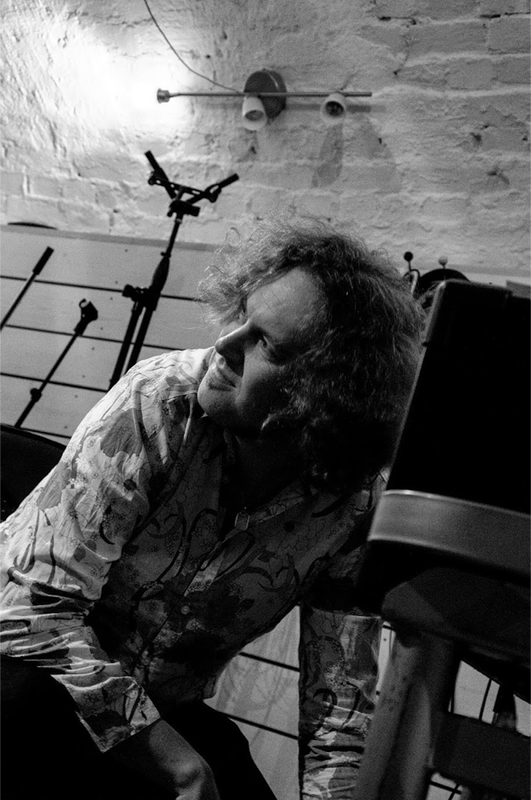 It all started with my wish to record an album, so I started to write songs and I thought that I would end up with a bunch of jazzy tunes. But I didn’t. In an subconcious way my mind guided me in a direction where the music got more of a progressive-rock quality. The record sessions for these songs is the moment when Pocket size was born. Pocket size is not a band in the common way. It is my little universe where I can bring in whoever I want to collaborate with so I can create different colours, sounds and textures depending on who the musician are, how I have written the music and the way I give the musician guidelines. What types of change do you feel Pocket Size’s music can initiate? The music is very organic and inspiration could rise from many different sources so I guess the music could go in many different directions. But I do have a certain love for riffs and odd timesignatures so it will probably also be part of the music that will be created in the future in one way or another. You released your third album called “Exposed Undercurrents” recently. What was the creative process like? Most of the time it starts with me picking up the guitar and fooling around a bit. I try to work on something, mostly a riff. Either I’m within a scale, or I’m trying to break away from a scale. Then it’s time for me to move into my musical crypt in my house. I turn on the computer and starts an old version of cubase. I record the riff with a guitar, add a drum pattern, add a keyboard bass, add organ, add vocals. This process involves a lot of trial and error. I try different alleys, combinations, which intrument will carry the melody or do maybe some sort of arpeggio figure etc. I add different sections to each other, sometimes I have to write several different ones to get something that will work within the song. This part of the process do have quiet a few intuitive moments. When I had finished a song I had a demo which I gave to my producer who gave me feedback. In some places I had to do some editing and rearrange stuff. But over all he was very happy with the songs I came up with. When all the songs had demos I hade to write sheets for the other musicians and book a studio. I booked one of the best studios in town. Then it was time for the recordingsessions. The whole album is built track by track. The only instruments that recorded simultaneously were bass and drums. Which took two sessions. Then we added guitars, vocals, saxophone, vibraphone, theremin etc. until we had complete songs. There were also moments when we recorded drums and bass that I took out the guitar and we did some jammin’ which also was recorded. The result from the jamming are songs like FM, Horwood House and Berlin. The organ was added in a later session. Some of the stuff that the other musicians played was written and some of it was solos and yet other stuff was me guiding them towards a certain feeling or mood. It was really great to record this album. The atmosphere was really fine and everyone were doing their best which is obvious when you hear the final result. What was the creative chemistry between the band members like during the writing process of the album? Is there a certain concept behind “Exposed Undercurrents”? Since the writing process is just me I guess the magic, or chemistry is something happening inside when I get creative flow. No, Exposed Undercurrents is not a concept album. I do think that all the songs work really fine together and you experience a certain unity as a listener, but there isn’t a story that binds the songs together or musical elements that are part of several songs and developed in different situations. Why “Exposed Undercurrents” as the album’s title? Since part of the songwriting process is intuitive and direct and I haven t́ over worked the lyrics this time I guess this is the undercurrents in my mind, and now they are exposed to the world. How long did it take you to complete the songwriting for “Exposed Undercurrents”? A couple of songs were written just a week before we recorded them and other songs had been in an almost finished state for a couple of years. What were the biggest challenges you faced when working on “Exposed Undercurrents”? I think the biggest challanges were the logistics. Since there were so many people involved it was a lot of work to find dates when people were availabe for recording. You know, since some live in other places like New York, and all of the participating musicians are pros so they are busy touring. Also writing sheets was a real challange, since my skills in that field are not the best. I use my mobile phone to record a riff or lyrics or a sung melody so I wont’t forget it. As I told before I use the computer and cubase to record my demos, and the final step is to writ sheets. Where does the new record stand compared with your previous two albums “The Hornplayer from the Milky Way” and “Dustman Sessions”? The Hornplayer… was the first album and I guess it goes in several different directions, while Exposed Undercurrents is more coherent and I do also think that my writing has improved. I do still have som favorites from the Hornplayer… I love Crimson, Syphon, Momentum, Hera and Melos. The Zappa like half sung, half spoken voice is gone on Exposed Undercurrents. I do also think that there is a relationship between Momentum and Orbits, they do share some quality and mood. Dustman Sessions is not a full album. It was two songs released as a digital single. But these two songs do form the spine of a concept album which has not yet seen the day. I keep on working on it and you will definetely be able to dig it in the future. I was also playing saxophone myself on the first album, without the knowledge how to play the instrument. But for Exposed Undercurrents and The Dustman sessions I brought in two really superb sexophone players. Sean Nowell from New York and Kristian Brink from Stockholm. Have you managed to make any new discoveries as the time passed during the creative process of the album? Do you think that at some point of that process your writing approach changed drastically? Yeah, I realised how important it is to have a producer who can help you to get another perspective of the material. The producer becomes an important member of the team and apart from the technical knowledge of where to place microphones and what michrophones to use and so on is important as a coach to bring out the best performance from everyone. I also dicovered that I wanted to try to write lyrics for a couple of songs in swedish, which I find being harder. While being in the studio I gradually realized what instuments and sounds I wanted to use on specific songs. Of course some of it I knew before, but some decisions grew out of the process. Which bands or artists influence your music? Mainly it’s progressive rock, psychedelia, jazz and blues. I’m a big fan of the Canterbury scene. I love Soft Machine, Matching Mole, Hatfield and the North, Gilgamesh, Caravan, Egg, Henry Cow. Everything that came out from that scene. King Crimson is one of my favorite bands. I love Jimi Hendrix, Jeff Beck, Focus and Colosseum. When it comes to jazz I do have a loveaffair with the Blue Note era, preferably in the 60s. Artists like Andrew Hill, Lee Morgan, Freddie Hubbard, Larry Young, Grant Green, Jackie McLean, Wayne Shorter, Joe Henderson. But I do also listen co contemporary jazz like Chris Potter and Jonathan Krisberg. A lot of stuff from the swedish 60s and 70s like Hansson & Karlsson, Fläsket Brinner, November and Mecki Mark Men. I am also a huge fan of John Coltrane. You had quite a few opportunities to promote your music live. What is the reaction of audiences? We haven’t played that much live, but the last gigs that we have done the audience has responded well and been enthusiastic about the music. Tunes like Momentum, Berlin and Orbits are the ones that seem to appeal to the audience. But we try to do things a little bit different every time. Where do you see Pocket Size in the future? I think that there will be a lot more music coming from Pocket size. There are plans for two projects to be done within 2015 – 2016. First on the agenda is a live recording in the studio here in Stockholm which also will be filmed and will probably be available as a record as well. If there are people out there who are interested in being part of the audience for this project just send me an email an let me know. Then I have plans to finish the rock-opera that goes under the name “The empty vessel of mankind is the dustbin of inhabitants of foreign galaxies…” to which the two tunes from Dustman Sessions belong. My plan is to record it in New York. I do also hope that we will be able to play a lot more live. So any venue or booker who is interested, just get back to me. 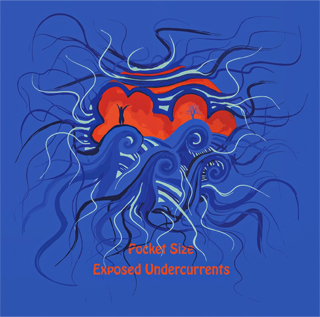 Buy Pocket Size’s “Exposed Undercurrents” here.